Baby shower gift ideas Easy to find; hard to resist! The guide to finding the best gifts for baby girls, baby boys, twins, new moms, dads, siblings, grandparents, and the shower hostess. 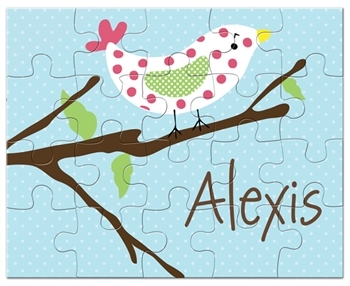 Under $25 Super cute and very affordable gifts for a baby shower. Cool baby gifts Just another word for “great” baby gifts. Unusual gift The Gift of Life, on the baby shower registry? Gift cards Group gifting, and how to get organized the easy way. Organic baby gifts Clothing tips for buying the right fabrics. Gift Wrap Ideas for enthusiasts and non-enthusiasts. 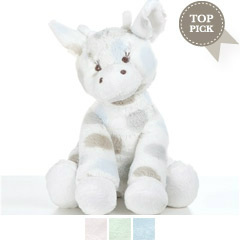 The cutest giraffe in the world- This baby shower gift, is a top seller with excellent reviews. He’s even had his picture taken with a few celebrity kids! 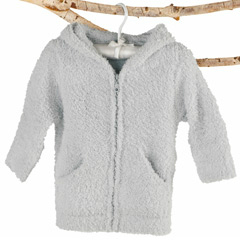 This ultra-plush toy is available in sizes medium and large. Go to the Layla Grace website to see it, and 100’s of other baby gifts. It might be hard to pick a favorite! Gift sets and layettes are perfect for any newborn baby. When you shop for newborn clothing, consider: quality, style, and most of all, comfort. Newborn apparel should be easy to care for, and easy to wear. 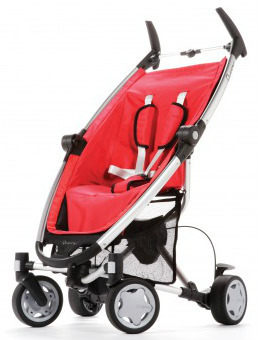 PTPA Award Winning Products: Ideas for baby shower gifts; tested, and approved by parents. and the silicone is soft on their little gums. 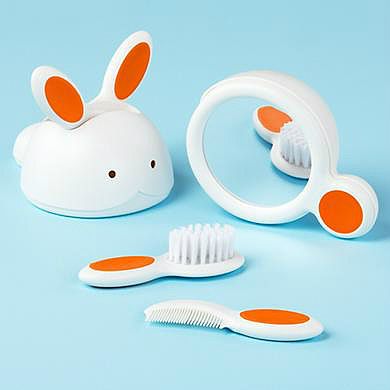 The Noodle & Boo Gift Set is another PTPA Award Winning Product, and one of our favorite picks too. My own children have sensitive skin, and the Noodle Boodle products are one of very few, skin care lines I trust on their delicate skin. Give a new mom one of these gift sets for baby, and her search for the right skin care will be over. Very few of us, are ever that lucky (speaking from personal experience)! Seriously, she’ll thank you! We think anything purchased from; Frecklebox is a great gift to bring to a 2nd shower. Toddlers and big kids, simply love these gifts! Uncommon Goods, is one of my favorite places to shop for unique gift ideas. They have really amazing stuff that you won’t find anywhere else. 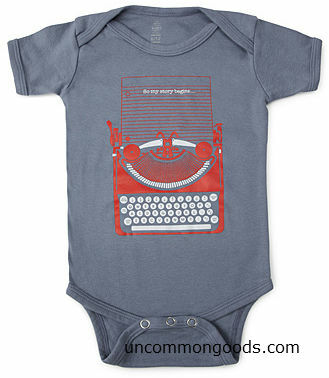 This is the best, Baby Bodysuit: Featuring a vintage typewriter-the words on the page… So My Story Begins. 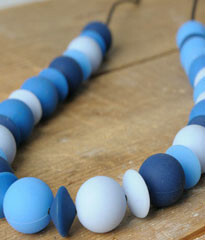 What a cute baby shower gift for a boy, or a girl! They have cool toys, clothes, nursery art and a lot more. Gift baskets are hugely popular. There are great ideas for baby boys, girls, and twins. There are also great ideas for parents, older siblings and grandparents. A baby shower gift basket, for the adults, doesn’t have to be an, entire “baby shower theme.” Wine and/or gourmet baskets are also great selections. Read more about baby basket gift ideas. baby shower gift ideas for new dads: Daddy diaper bag, or a baby journal-just for dads. Tech- gadgets like, video-baby-monitors or tiny camcorders- will have new father’s talking. Mom-to-be, will appreciate something that’s just for her; or any gift that will simplify her life after her newborn arrives – here are some baby shower gift ideas just for mom-to-be. diaper bag, or a cute, overnight bag. All new grandparents need a baby photo album (or brag book-as they are affectionately called) A grandparents’ journal is a great way to keep track of precious memories. You can also give a new grandparent a baby textbook-just in case they want to brush up on baby care. Make sure the items are removed from the wish-list/registry. shipped directly to the recipient, rather than to you. Do you have to buy two of everything? Yes and no. If you buy an outfit, baby blanket, or certain baby toys, you should get one for each twin. On the other hand, it’s OK to buy one bouncer, one car seat, or other big ticket items. 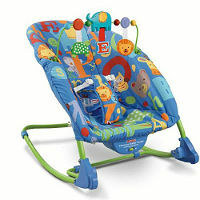 There’s always a chance, another friend or family member will buy the second baby swing, e.t.c. Groupit.com is a gift website will help your group organize funds, purchase the gift online and even ship if for you. Giftcards.com, will help with collecting group funds needed to organize and purchase a personalized or pre-designed, baby gift card. ultra cute, “princess dress-every newborn should have”- buy both. Baby tee’s or onesies with tasteless graphics or content (yes people really make these). Maternity clothes for mommy, unless she has requested them. Second hand toys that aren’t safe. Sharp edges and plastic made with BPA are a big- NO. Books or other items for ” Losing the Baby Weight”.